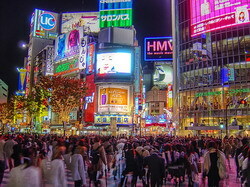 10:00 – In the morning in the hotel lobby You will guide and tour of Tokyo! 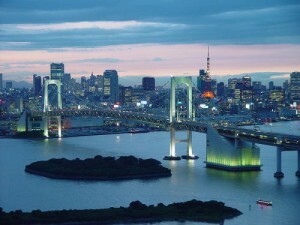 Of all the world’s capitals, namely Tokyo, different unique personality and appeal. 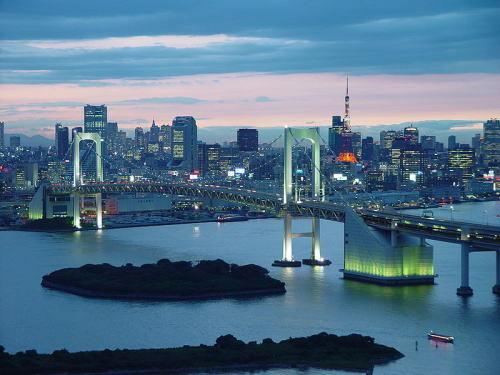 In Tokyo, the focus all the most attractive tourist – cultural monuments, museums and exhibition centers, interesting excursions. Sightseeing Japanese capital, we suggest starting with our guide to the Imperial Palace, known as Edo Castle. Imperial Palace (entrance – free) – a quarter of the millennium over Japan flags of the Tokugawa clan. Center of his possessions was a small fishing village of Edo. Here in the 12th century Tokugawa Ieyasu built the castle, currently in force. It is surrounded by the moat and well-fortified walls around the palace is a beautiful Garden – Higashi Gyoen and Kitanomaru. 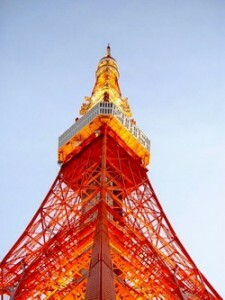 You will rise to the Tokyo Tower (observation deck 150 m – 820 Jap yen to 250 m – 600 Jap yen) – the highest point in Tokyo, von favorite directors and just a romantic place. It offers a magnificent view – city from a height of 250 meters, where you can go up in the elevator with a transparent floor. 13:00 – Lunch at a local restaurant. Guides will help with a choice of dishes. 14:00 – . 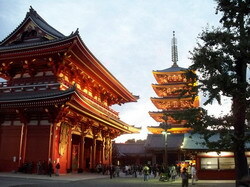 Continuation of the tour you will visit the oldest district in Tokyo – Asakusa (entrance – free of charge). There is always noisy, crowded and festive, at any time of the year.The narrow streets are many restaurants, shops, playgrounds and parks. The heart of the district – the ancient Buddhist temple of Asakusa Kanon . In which the legendary Ieyasu came to ask for the favor of the gods before the decisive battle of Sekigahara. If you have to solve a fight in my life – take a moment to visit this temple! From Thunder Gate Kaminarimon to the temple steps Asakusa Kanon leading shopping street Nakamise-dori (entrance free) . This long rows of shops offering passers incense, amulets and sweets, as well as a huge number of cheap souvenirs. After a walk through the capital of Japan, we suggest you relax in the Japanese baths. After wandering through the “back streets of the village,” the ancient Tokyo, you can buy various souvenirs, as well as national bath accessories used by the Japanese to this day. A wide selection of different types of massages from 30 minutes to 1 hour. Visit “Oedo Onsen” takes 2-3 hours, ticket costs 1900 Japanese Yen. The price for Tokyo tours included : Russian-speaking guide 8:00, lunch and city transport.